Thick layers of skin belong on an onion, not on your feet! 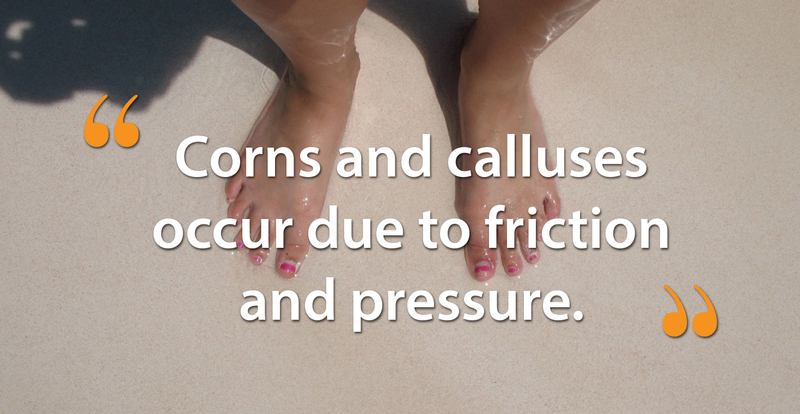 Corns and calluses occur due to friction and pressure. They are hard, thick sections of skin that can be uncomfortable or even painful. While you may not always need to see a doctor, it’s important that you treat them so that they do not become more serious or infected. Dr. Michael Stein and Zeindelin Ahmad, DPM can help you peel away the layers and reveal the healthy feet underneath. When the skin rubs against surfaces, like the ground or your shoes, it becomes dry and irritated from the friction, and thick layers of skin build up as an attempt to form a protective barrier. These layers are called corns and calluses, but how can you tell the difference? Calluses are bigger with perimeters that aren’t as well defined. They can be discolored or yellow in appearance, and rough, swollen, and thick. The heels and the balls of your feet are especially prone, particularly if you spend lengthy amounts of time standing or wear high heels. Corns, on the other hand, are smaller and usually more circular in shape. Unlike calluses, they typically form around the toes or on top of the feet, as opposed to the soles. Just as high heels can lead to excessive pressure on the balls of your feet, improper shoes can restrict your feet and place pressure on other areas as well. This is worsened when the tight material rubs up against your skin. Foregoing socks also contributes to thickening and hardening of the skin. Think of skipping socks as forgetting to button your coat in the winter—you’re only partially protected from the cold weather. Wearing the right-fitting shoes is essential, but their efficiency is lessened without donning socks as well. Dry skin is prevalent among those who suffer from corns and calluses. Genetics may cause you to inherit this, or feet with a lack of fatty padding, making you particularly susceptible. To prevent corns and calluses, protect your feet! As mentioned, socks and shoes that fit well should be a top priority. However, there are other measures you can take to keep your feet healthy. If your skin is dry, try using an over-the-counter moisturizing lotion with aloe, shea butter and other nutrient rich ingredients. This is a simple and inexpensive way to keep your feet smooth and happy. Wearing in-sole paddings for the balls of your feet and heels is helpful as well. This will give your feet much needing cushioning throughout the day. Calluses and corns can be avoided, but if they’re already troubling you, there are general foot care steps you can take to treat them. First, soak your feet for at least ten minutes in a comfortably warm bath. Let the water soften the skin sufficiently before wetting a pumice stone and gently rubbing the affected areas. Work with medium pressure, allowing the dead skin to fall away. Rinse, dry off, and apply lotion. Repeat as necessary. Be careful not to be too vigorous and cause bleeding, as this will expose your skin to infection. Finally, examine the shoes you own—make sure they are not worsening your condition. Swap out any ill-fitting footwear for what feels comfortable. Corns and calluses do not have to take control of your life. 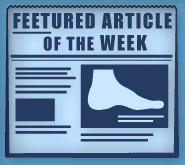 For more information, please call Foot Doctor of the East Bay and talk to Dr. Michael Stein or Zeindelin Ahmad, DPM. Visit us online or in Pleasanton, San Leandro, or Los Gatos, CA.